The use of sugarcane originated in Southern Asia at least 2,000 years ago. Before the Indians discovered how to crystalize sugar from the sugarcane in the 4th century, it was regularly chewed for its natural sweetness. Since then, the sugar industry has thrived in India. Sugar was carried on many of the ancient trade routes, including the oversea networks. Monks would make a pilgrimage to India to learn the sugar crystallization methods, so they could bring them back home. By the 7th century, sugar had created a dynasty in the region and China was working to take it over. It wouldn’t be until the 18th century, however, that the rest of the world would realize just how important sugar was as a way of life. 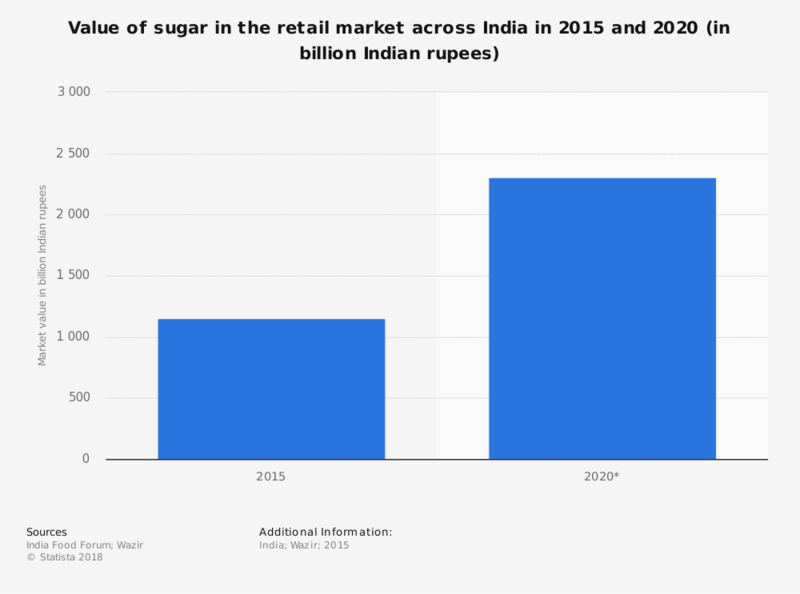 With sugar prices rising exponentially, Great Britain decided to establish a sugar industry in India once again. 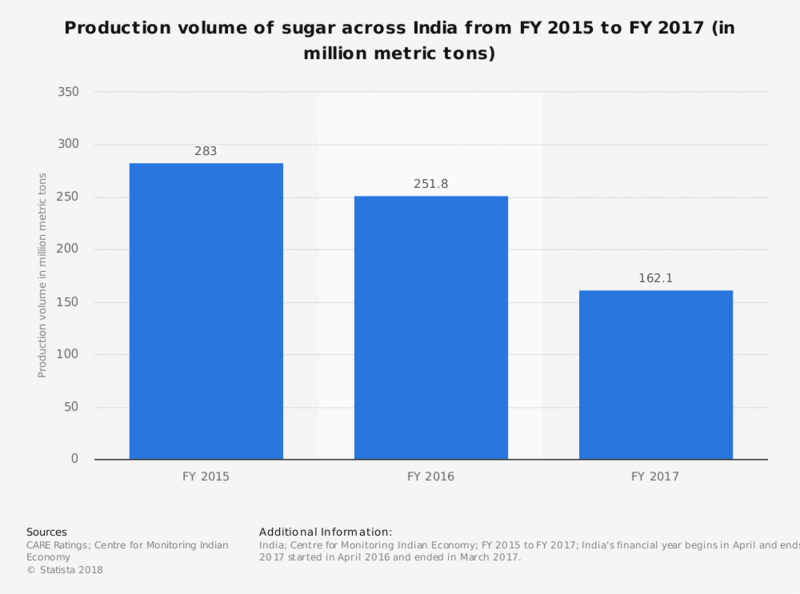 With refining methods based on ancient practices combining with modern technologies, the Indian sugar industry has once again become one of the world’s top producers of this commodity. The Indian sugar industry is highly dependent upon the seasonal monsoon to maximize its potential. In the 2016 growing season, when some areas did not receive their usual monsoon precipitation, production levels dropped by 20% or more. Although the most recent season shows an impressive production gain, the reality is that production levels are simply being restored to their past potential. 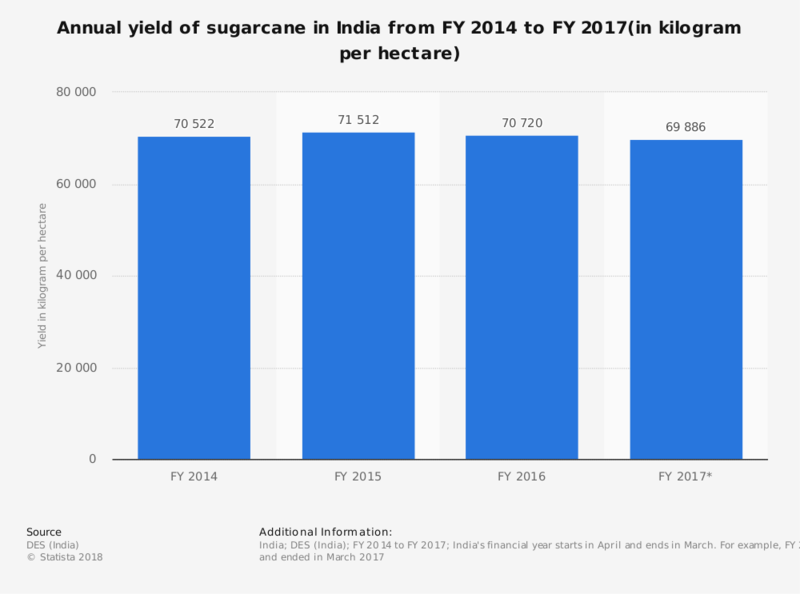 What holds the India sugar industry back from its full potential is a lack of adequate resources. With funding in place to cover some of the financial burdens of growers and mills, production levels should continue to increase for the next 5-year and 10-year forecasts. The world is not going to lose its craving for sugar any time soon. The industry in India has an advantage in that its superior qualities create higher pricing, which further increases interest in it. Much of the supply remains domestic as well, which creates scarcity in the export market for it, further increasing its value.